A great cycling show at an amazing price! 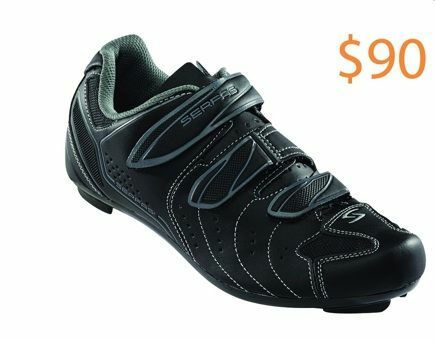 The Serfas Oxygen Road Shoe is a great road shoe designed for women with very cleverly designed straps that are smaller but still provide great flexibility. And, it has a triple compound insole (think comfort) and a reinforced heel counter (think stabilization) that also translate into transferring more power to your feet. Plus the large toe box means your feet won’t feel cramped and the vents will help keep them cool. This is a solid shoe at an incredible price.